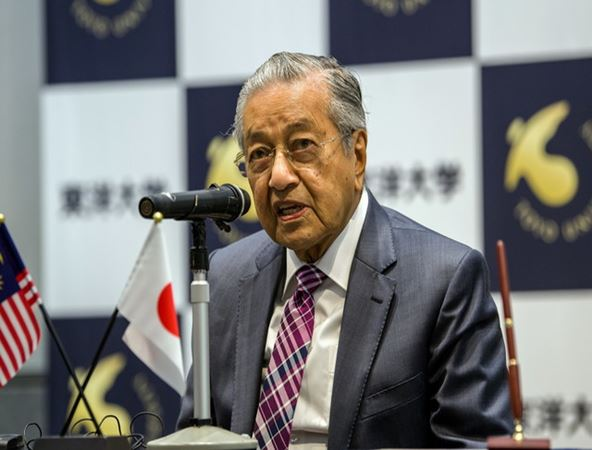 TOKYO: Good moral values should be given attention and taught to children from kindergarten until university, said Prime Minister Tun Dr Mahathir Mohamad. He said the national educational systemshould teach students good values and characterbeyond imparting knowledge. “I feel some attention should be given in school, from kindergarten to university, on good moral values,” he said in his opening remarks during a dialogue with students at Toyo University here Wednesday. The prime minister is on three-day visit to Japan since Monday. Dr Mahathir said some countries used education as a form of indoctrination. “I have seen a country at least where young people, as young as six years old, were taught to adore the leader and think of him as a God who can do no wrong,” he said. He said the end result saw an oppressive regime and government. Also present were Dr Mahathirs wife, Tun Dr Siti Hasmah Mohd Ali, Foreign Minister Datuk Saifuddin Abdullah and Education Minister Dr Maszlee Malik. Meanwhile, during the dialogue session, Dr Mahathir said the best weaponagainstcorruption isto instil in the society that corruption is a crime. When theyare stillyoung they should be told that corruptionis a crime. Thats the best defence againstcorruption. You grow up to reject corruption, then the society will be better off, he said. He said corruption is not something that can be easily be rid off, but efforts must be madeto ensure that itis not prevalentevery where.